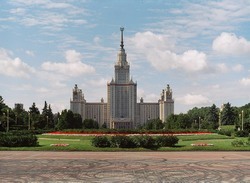 There are ninety-six parks and eighteen gardens in Moscow, including four botanical gardens. There are also 450 sq.km (174 sq.mi) of green zones besides 100 sq.km (39 sq.mi) of forests. Moscow is a very green city if compared to other cities of comparable size in Western Europe and America. There are on average twenty seven square meters (290 sq.ft) of parks per person in Moscow compared with 6 for Paris, 7.5 in London and 8.6 in New York. Moscow has many large and pleasant parks. Some are plain parks, others have ponds or beaches and yet others contain old palaces/estates or other places of interest. Some are great for hiking, cycling, rollerblading and/or cross-country skiing. Most parks are open daily from sunrise to sunset. Note that most neighborhoods also have smaller local parks, some of which have playgrounds. 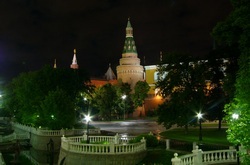 The capital's most central park runs along the Kremlin's western walls. Aleksandrovsky Sad is directly accessible from the metro station bearing the same name. Picturesque gardens with shady trees and broad lanes were designed and set up in 1821 by O. Bove, one of the chief architects of Moscow, who reconstructed the city after the Great Fire of 1812. First called the Kremlin Gardens, they changed the name in 1856 after the crowning of Alexander II. On the central square of the gardens you can see the "Ruines" grotto, a peculiar memorial of the revival of Moscow after the devastation in 1812. It contains the Grave of the Unknown Soldier and the Eternal Flame, where you can watch the hourly changing of the guards. To get to the garden, take the metro to the station Aleksandrovsky Sad; it is also just a 3 minute walk from the metros Teatralnaya, Okhotny Ryad, Ploshchad Revolutsii, and a 5 minute walk from Borovitskaya. This huge exhibition center and park containing samples of monumental Soviet architecture and oversized statues was established in 1937. There are over 80 pavilions that used to display communism's latest achievements in science, agriculture, industry, and technology. Most pavilions have been turned into miniature shopping centers, but some still function as exhibits, for example the "Sadovodstvo" (Gardening) pavilion. 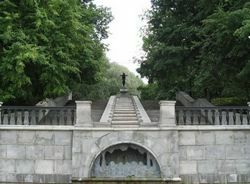 Do not miss the impressive Fountain of People's Friendship (Fontan Druzhby Narodov) right in the center of the park. It consists of 15 gold-covered statues representing all 15 republics of the former Soviet Union. There is also a Museum of Astronautics; that is definitely what Soviet Union had reasons to be proud of. There are many legendary objects on display including first ever astronauts - stuffed dogs Belka and Strelka. The museum is located in the monument to the Explorers of Space. And, of course, recently restored Vera Mukhina's 24.5 meter (80 ft.) "Worker and Kolkhoznitsa" monument is a must-see sculpture. The VVTs features Russia's biggest Ferris wheel and many other attractions. When you get tired of wandering around this seemingly endless territory, you can sit down to enjoy a shashlik or plov at one of the many outdoor and indoor cafes. To get to the exhibition center, just take the metro to the station VDNKh - VVTs is a 3 minute walk from the metro. This is Moscow State University's (MGU's) oldest botanical garden (founded in 1706 by a decree from Peter the Great). You can also visit the greenhouse and laboratory. To get to the garden, take the metro to the station Prospekt Mira, take a short walk along Prospekt Mira and turn to Grokholsky pereulok, the entrance to the garden is just a 1 minute walk after the turn. The entry price of 300 RUR. For children under school age the entry is free. This is a large park and silver birch forest in the south of Moscow. It has two ponds with beaches, and although swimming is not recommended, you can still enjoy the beach atmosphere. The park also features volleyball, basketball, and badminton courts; and you can hire a rowboat, paddleboat, or bike. Further into the forest there is an equestrian center. Great for sledding in winter. To get to the park, take the metro to the station Novoyasenevskaya (the park is just next to the station); the park is also accessible from the metro station Ulitsa Akademika Yangelya - once out of the metro, walk along Akademika Yangelya ulitsa for about 1 mile or take bus 680, 118 or minibus 566M to the station "Ulitsa Akademika Yangelya", then take a 3-4 minute walk to the park. Rose garden, arboretum with exotic trees and bushes, greenhouse with orchids, lilies and lotuses, Japanese Garden. Founded in 1945. To get to the garden, take the metro to the station Vladykino, once out of the metro, walk for about 200 meters (0.12 mi) to the main entrance. The garden is also accessible from the metro VDNKh - take trolleybus 73, 36 to the station "Botanicheskaya ulitsa 33", or minibus 324M to the station "Glavny Vkhod Botanicheskogo Sada". Bulvarnoe Koltso is comprised of the following streets: Gogolevsky Bulvar, Tverskoy Bulvar, Strastnoy Bulvar, Petrovsky Bulvar, Rozhdestvensky Bulvar, and Sretensky Bulvar. It forms a semi-circle around the center of Moscow and is ideal for leisurely strolls. A walk along the boulevard ring's park-like areas is a great way to explore the city center, undisturbed by traffic. The park strip is situated in the middle of the road, in-between traffic lanes. Scores of beautiful old buildings are located along this route (and down the side streets leading off Bulvarnoe Koltso), and there are plenty of benches to sit and relax on along the way. It is also well worth venturing into some of the side streets branching off from the ring - you will find lots of pretty lanes with interesting buildings there. Pond with ducks and boat rentals, tennis courts, the House of Culture, the Museum of the Soviet army with planes and military equipment and much more. Nearby there is a health center for veterans. Playgrounds are concentrated in the side. Amongst playgrounds there is a large-scale concreted area for bicycles, scooters and roller skates. Great park for walking, hiking, and cycling. The famous Gorbushka shopping center is located right outside metro Bagrationovskaya. Centrally-located Filyovsky Park runs along the banks of Moscow River and covers 266.6 hectares with 90% of it being perfectly green area. Once it was the estate of Naryshkiny noble family that owned the estate for 175 year. The restored palace of the 18th century is a beautiful reminder of those days. 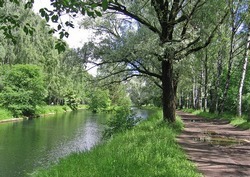 Filyovsky Park is a great place for both quiet contemplation of nature and active recreation. Different parts of the park are accessible from 4 metro stations: your options are to take the metro to the station Bagrationovskaya, once out of the metro walk for about 450 meters (0.3 mi) to the park along Barklaya ulitsa, or to choose the metro station Filyovsky park and a 0.3 mile walk along Minskaya ulitsa, or you can take the metro to the station Pionerskaya and walk for about 250 meters (0.16 mi) along Polosukhina ulitsa, and finally you can come to the metro station Kuntsevskaya and walk for about 600 meters (0.4 mi) along Rublevskoe shosse (duplicate). There are four playgrounds, fitness and dance floor, a stage for the holidays. The central object which attracts visitors here, is the place for squirrels. A renewed outdoor furniture and free wi-fi make this park convenient not only for recreation but also work. Moscow's most famous park runs along the banks of the Moscow River. 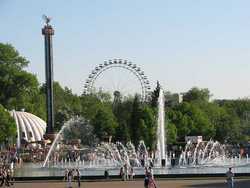 Gorky Park is truly one of the most popular places for families to spend their week-end. Numerous fairground attractions such as the Big Wheel, switchback (for unknown reason known in Russia as American Hills), swirling see-saw make children's heads go round of joy while their parents are screaming of fear. There are also horses, boats to hire and caf?s. An ice-skating rink operates in winter. To get to the park, take the metro to the station Park Kultury and cross the bridge over the Moscow River, or take the metro to the station Oktyabrskaya and walk for about 400 meters (0.2 mi) along Krymsky Val ulitsa. Three theatres are located inside this very centrally located park - the Hermitage Theatre, the Novaya Opera, and the Sfera. Outdoor dancing hall and several open-air cafes. Lots of flowers and benches, alleys and the fountain create a special atmosphere of peace and quiet. To get to the garden, take the metro to the stations Chekhovskaya, Tverskaya, or Pushkinskaya and then walk along Malaya Dmitrovka ulitsa and turn right to Uspensky pereulok. Izmallovsky Park consists of a vast area of parkland (over 1500 hectares) and a large forest consisting of pine trees, birch woods, and ponds. It is 6 times larger then the central park in New York. This is where the Russian tsars once had their summer estates and hunting grounds. Other attractions include a large skating rink in winter. The park is great for family picnics in summer. It is located adjacent to Izmailovsky Vernisazh - Moscow's famous outdoor souvenir market. The park also features a wide variety of attractions for children. To get to the park, take the metro to the station Partizanskaya (the park is just next to the station) or take the metro to the station Shosse Entuziastov, once out of the metro, take a 3 minute walk along Elektrodny proezd. Khamovniki is one of the greenest and most picturesque areas of Moscow. Here is park named Mandelstam, another name is the Estate of the Trubetskoy family in Khamovniki - well-kept green area with a playground, pond, tennis courts and an aviary for protein. Park "Novodevichy ponds" is nearby, the sport and recreation complex "Luzhniki" and the famous Neskuchny Sad (Garden) are along the bordering area of ​​the Moskva River. Located in the West of Moscow in one of the capital's few ecologically clean areas, this park has grassy slopes that are great for cross-country skiing and sledding in winter. Good hiking trails and a challenging cycling track are ideal for summer sports. To get to the park, take the metro to the station Krylatskoye and take a 5 minute walk from the metro to the park. 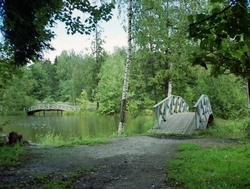 The park is located in Kuzminki Estate which traces its history from 1702. Muscovites call Kuzminki Estate "the Russian Versal"; this wonderful architectural ensemble was created by celebrated architects Matvey Kozakov, Vasily Bazhenov and the Gilyardi family. Church of the Vlakhernskaya Virgin is an outstanding architectural masterpiece. In winter you can ride a dog team here or take part in the traditional Russian amusements; in summer you can make a bike-excursion about the estate or sail over the Kuzminki ponds and watch splendid flowerbeds planted for the flower festival. You can also rent the picnic area or picnic point. Russia's first national park used to be the nobility's favorite hunting ground. Some wild animals including moose, wild boar, and beavers still live here. There are three ponds with different kinds of fish. The park is also great for hiking. "Los" in Russian means "elk", and there are many elks in the park indeed. The visitors may watch them in their natural habitat. Excursions in English are available. To get to the park, take the metro to the station Shchelkovskaya, once out of the metro take trolleybus 23, or minibus 583, or bus 257 to the station "Uralskaya ulitsa 19", and then take a short walk to reach the park. Cozy courtyard is like old pictures. Roundabouts, sandboxes, playgrounds and wooden houses. The Center of aesthetic education is located in the houses where there are dozens of different clubs for children from 5 to 18 years. Founded in 1993, this open-air sculpture museum has a collection of over 700 sculptures. Here you will find many Soviet-era monuments that were removed from their pedestals in Moscow's squares and parks after 1991, including the controversial statute of the Soviet Union's first KGB chief Felix Dzerzhinsky that used to stand right in the middle of Lubyanskaya Ploshchad in the city center. The park is located next to the Central House of Artists, across the road from Gorky Park. To get to the park, take the metro to the station Park Kultury and cross the bridge over the Moscow River, or take the metro to the station Oktyabrskaya and walk for about 400 meters (0.2 mi) along Krymsky Val ulitsa. This garden consists of terraces sloping down to the Moscow River and provides scenic hiking trails. It houses a wooden playground, an open-air theater, and plenty of benches. The name of the park translates as "Never Boring Garden." 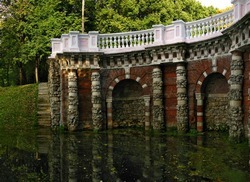 Once a noble estate, it is one of the oldest parks in Moscow. In the 18th century there were three mansions which belonged to Prince Trubetskoy. All that is left is part of the park and a "Hunters' house". In the middle of the 19th century a new owner, Prokofy Demidov, built a palace here. Originally it was designed in Baroque Style, rebuilt in the time of Classicism and its interiors are typical for the Empire Style. Here on the bank of the Moscow-river one of the largest in Europe Botanic gardens appeared; among its trees several historical objects are found today: the house of Count Orlov (1796), a vaulted bridge, and the house with rotunda. You can get to this park either through Gorky Park or take the metro to the station Leninsky Prospekt and take a 2 minute walk to reach the park. This densely wooded and impressive size park is the ideal place for picnics. Playgrounds are basic. No attractions. The cafe "Central Park" with friendly staff and tasty sandwiches works at the entrance to the park. This huge park, also referred to as Poklonnaya Gora was established in 1995 to celebrate the 50th anniversary of the Soviet Union's World Two victory over Nazi Germany. Once it was a hill where all important guests of the capital were met with a bow ("poklon" means a bow). It contains the Central Museum of the Great Patriotic War, an art gallery, the Cathedral of the Great Martyr Georg, a mosque and a synagogue erected in memory of those Muslims and Jews who have perished in the horror of the war. Moscow famous sculptor Zurab Tsereteli has placed here one of his most monumental masterpieces: the statue of St. Georg spearing the dragon. Another thing that attracts visitors is the chain of fountains illuminated in bloody red in the evening; this symbolizes the floods of blood shed by Soviet soldiers. Skateboarders love to use perfectly smooth marble surface for their exercises. On May 9th (Victory Day), Muscovites gather here to celebrate the triumph over Nazi Germany. The park is great for walking, rollerblading, skateboarding, or reading a book. 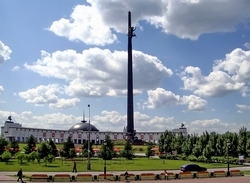 To get to the park, take the metro to the station Park Pobedy, the park is just next to the station. 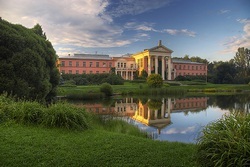 Pokrovsky-Streshnevo is the former family estate near Moscow with an adjacent park. The park with modern playgrounds, chess town, a sports complex and flowerbeds. The unique fairy-tale characters will not leave anyone indifferent! This is a huge forest and park area that contains Moscow's most popular beaches. It features changing rooms, clean sand, beach volleyball areas, and boat, scooter and paddleboat rental. There are plenty of outdoor cafes and ice-cream stands. Note that the water may not be 100% safe for swimming. Serebryanny Bor is also great for cross-country skiing in winter. To get to the park, take the metro to the station Polezhaevskaya and take trolley bus 20, 21, 65 or minibus 65 to the stop "Serebryanny Bor", or you can take the metro to the station Oktyabrskoe Pole and then take minibus 15M to the station "4aya Liniya". Table tennis, dance floor, video arcade and children playground with attractions. Bicycles, roller skates and rackets on hire. This 600-hectare park surrounded by a forest is where the tsars used to bring their falcons (a falcon is called a "sokol" in Russian) to hunt foxes and other small animals. The first path was cut through the forest on the initiative of Peter the Great and since that all paths have the name "proseka" (cuttings). Today there are seven cuttings: Birch Cutting, Maple, Elm and others; they all form radial structure of the park. More than 500 kinds of plants and 70 kinds of animals inhabit this thicket. The international exhibition center in this park often holds large trade fairs. The spacious green areas with ponds, pavilions and playgrounds allow for nice walks. Fun fair, horseback riding, restaurant. To get to the park, take the metro to the station Sokolniki, and take a short walk along the alley. Park of clture and leisure "Taganskiy", a comfortable and eco-friendly island of fresh air, is located in the center of Moscow, in the heart of Taganskiy district. For the past years, the park is cultural, recreational and sports center of the district. A green oasis in the South of Moscow, this park has a beach, changing rooms, refreshment stands, a chess club, open-air stage, and ping pong tables. Canoes and paddleboats are available for rent. To get to the park, take the metro to the station Tyoply Stan, then walk for about 400 meters (0.2 mi) to reach the park. Located adjacent to Moscow State University (MGU), this area is great for walking and rollerblading in the summer with a magnificent view of the city on a smog-free day from the platform across from the University. Birds have nothing to do with the name: in the 15th century one noble lady bought a village here from a priest called Vorobey. Vorobey's name has outlived the glory of the Great Soviet leader Lenin, whose name this hill wore in the Soviet times. In front of the facade of MSU facing the Moscow-river there is a big square and a lovely alley decorated with busts of famous Russian scientists. The alley leads to the best observation point of the city. Many newlyweds will visit this famous place after their official wedding ceremony. In winter you can also observe snow-boarders and alpine skiers on the hill underneath. On weekend nights, the roads between the platform and Moscow State University are the scenes for impromptu car races. Souvenir vendors are always on the platform. To get to the park, take the metro to the station Vorobyovy Gory, then walk up the hill to the observation point. The park is located on the territory of the former Vorontsovo Estate. Vorontsovo is the landscaped park with linden alleys, benches, woodpeckers, squirrels, and cascading ponds - the rare thing for a Moscow park design. Abramtsevo was mentioned in official documents for the first time in the 17th century. In 1843 Abramtsevo became property of a famous Russian writer Sergey Aksakov and after Aksakov's death it was bought by a successful manufacturer and patron of arts Savva Mamontov. 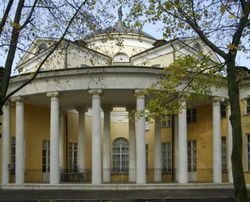 At this estate you can see a collection of ceramics made by Vrubel and exhibitions dedicated to the estate's famous visitors (Turgenev, Repin, Vrubel, and others). Today Abramtsevo occupies about 50 hectares (0.2 sq. mi) along with a park and picturesque outskirts of the Vorya River and comprises architectural monuments created in the 18-19th centuries. The museum's collection features more than 25,000 items: pictures, drawings, sculptures, arts and crafts, photographs and archives of previous owners. To get to the estate, drive along Yaroslavskoe shosse from the city center, reach the 60th km of Yaroslavskoe shosse, watch for Khotkovo direction sign and turn left or you can take electric train (elektrichka) from Yaroslavsky railway station to the station "Abramtsevo". 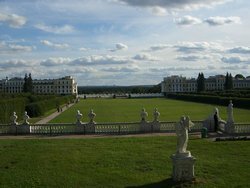 Arkhangelskoye is referred to as the Versailles of the Moscow region. At the beginning of the 18th century, the estate belonged to Prince D.M. Golitsyn. After his death, it was purchased by Prince N.B. Yusupov (1751-1831), one of Russia's richest noblemen. Prince Yusupov was a well-known art lover and collector and moved his art collection to Arkhangelskoye. It included over 500 paintings by European masters from the 17th to the 19th centuries, many of which are still on display at the estate today. The collection also includes rare books from the 16th to the 19th centuries, as well as sculptures, bronzes, clocks, furniture, porcelain, etc. The Church of Mikhail Archangel built in the 17th century stands on a high bank of the Moscow-river. There is also a theatre with decorations by famous artist P. Gonzaga, and, of course, The Colonnade. To get to the estate, go along Rublyovo-Uspenskoye shosse and turn right at the first traffic light after the village of Zhukovka onto llinskoye Shosse, drive 5 more km, or take the metro to the station Tushinskaya, then take bus 549, 541 or microbus 151 to the stop "Sanatory". Country residence of Russian tsars in the 17th and 18th centuries. The estate is located on the unique man-made island that was created at the behest of the tsar Alexey Mikhailovich, the father of Peter the Great. In 17th-18th centuries it was a summer residence of the tsar family where in 1666 Aleksey Mikhailovich organised an agricultural paradise with arable farming, bee- and poultry-keeping and other rural pleasures. 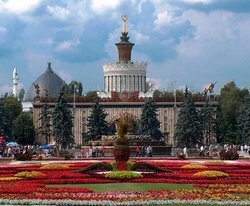 Tsar's famous gardens became the prototype for future botanic gardens in Russia. The museum "Izmailovo and Russian Tsars" holds historical and dramatized excursions. The Mostovaya (Bridge) Tower, built in 1670, served as the main entrance to the Izmailovo estate and was part of an arched stone bridge across the Serebryany (Silver) Pond. The Tower's composition is typical of the middle-age architectural style of the second half of the 17th century and similar to some of the Moscow Kremlin towers. To get to the estate, take the metro to the station Partizanskaya, then take trolleybus 22 to the stop "Glavnaya Alleya". Open: Exhibitions: Apr-Sep: Tue–Fri, Sun: 10:00 - 08:00, Sat: 11:00 - 19:00; Oct-Mar: Tue–Sun: 10:00 - 18:00. Mon – day off. The Kolomenskoye estate was once the royal summer residence of the Grand Princes of Moscow Vasili III and Ivan IV, and was turned into a museum and nature preserve in 1923. While the wooden summer palace was pulled down under Catherine II after it fell into disrepair, some of the churches built in the 16th and 17th centuries remain intact and serve as monuments to important stages in development of Russian church architecture. 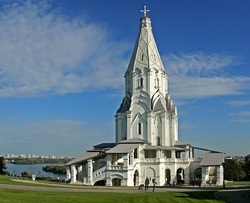 Among them are the Church of the Ascension (1532) and the Church of the Icon of Our Lady of Kazan (1644-1670). Several examples of Russian wooden architecture have been moved to Kolomenskoye and are also displayed in the park, including the wooden house of Peter the Great dating back to 1702. The 390-hectare park is also famed for its alley of ancient oaks and linden trees - some purportedly more than 200 years old. It is ideal for family outings and picnics. Kolomenskoe, a small calm green island in the boiling ocean of the big city, has a very long history. The first known reference to Kolomenskoe village was found in the will-chart Moscow Grand Prince Ivan Kalita, dated 1339. But, according to archaeological evidence, the first settlement here was founded already 2.5 thousand years ago: it was so-called "Dyakovo Gorodische", the oldest settlement found on the territory of modern Moscow. 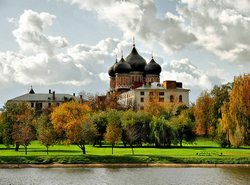 Nowadays Kolomenskoe is included in the UNESCO List of World's Cultural and Natural Heritage. Among the other historical monuments in Kolomenskoe are the bell-tower of St. George (16th century), the Falcon Tower (1627) and Peter the Great's cabin (1702), brought here from Arkhangelsk. Some of the architectural monuments house the museum's expositions, changed from time to time. 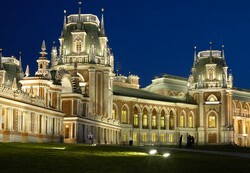 Various musical performances and festivals are arranged for numerous guests of Kolomenskoe. To get to the estate, take the metro to the station Kolomenskaya, then take a 10 minute walk along Prospekt Andropova. Exhibitions: Apr-Sep: Tue–Fri, Sun: 10:00 - 08:00, Sat: 11:00 - 19:00; Oct-Mar: Tue–Sun: 10:00 - 18:00. Mon – day off. Entering the Kuskovo estate gates, you find yourself in a different dimension. It feels like you have come into the 18th century by a time machine. Kuskovo occupies the territory of about 32 hectares. Towards the 1750s, following new trends in lifestyle, Count Petr Sheremetev, an important member of nobility at the Russian Imperial Court, turned his family estate (dating from the 16th century) into a residence, or "chateau de plaisir", which amazed his contemporaries by its splendour. Up to 25,000 guests would flock here to lavish celebrations. Yet, Count Sheremetev had the mansion built as a recreational summer residence, as well as a focus for different art forms appreciated by connoisseurs. Exhibits displayed here form a large part of his vast collection of fine and applied art. Nowadays the museum stock counts some 34,000 items, including a huge collection of ceramics and glass from different countries, from antiquity up to the present day. Architectural composition of the estate unites the Palace itself, three pleasure pavilions in the shapes of a Dutch house, an Italian villa, a Chinese pagoda and some other buildings. Baroque gardens and park landscape are geometrically laid out in the English style near the Large Pond. The Neo-Classical style Palace is one of the best parts of the estate preserved till now. The dancing hall is the largest and most beautiful parlor in the palace. The whole interior looks very festive due to the white and gild decorations of the walls, mosaic parquet and crystal chandeliers. To get to the estate, take the metro to the station Ryazansky Prospekt, then take bus 133, 208 or minibus 157 to the stop "Muzei Kuskovo". 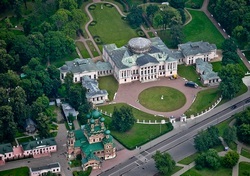 This estate traces its history from 1702, when Peter the Great presented this land to his favourite Grigory Stroganov. Muscovites call Kuzminki Estate "the Russian Versal"; this wonderful architectural ensemble was created by celebrated architects Matvey Kozakov, Vasily Bazhenov and the Gilyardi family. Church of the Vlakhernskaya Virgin is an outstanding architectural masterpiece. Famous Peter Klodt and Ivan Vitali decorated the estate with their sculptures. In late 18th - early 19th centuries some landscape modifications took place: a "Star" park, English garden and a Chinese pond were laid out. The museum's exposition shows us life of the Russian nobility of the 19th century. In winter you can ride a dog team here or take part in the traditional Russian amusements; in summer you can make a bike-excursion about the estate or sail over the Kuzminki ponds and watch splendid flowerbeds planted for the flower festival. To get to the estate, take the metro to the station Kuzminki, once out of the metro take a 7-8 minute walk to reach the estate. Lefortovo park is connected with the history of a separate district in Moscow counting some 300 years. At first this area in the outskirts of Moscow on the bank of the Yauza River was called Nemetskaya Sloboda (German settlement). This district was created by Ivan the Terrible especially for foreigners standing on Russian service, so that they could keep their habits of living. Time went by; New Sloboda appeared in this area under Tsar Aleksey Mikhailovich, father of Peter the Great. Later on, this district beyond the Yauza River was named in the memory of Franz Lefort, a Swiss of French origin, close friend and fellow-champion of Peter the Great. The history of Lefortovo is also connected with the name of Yakov Bruce, the first Freemason in Russia and (as the legend tells) the offspring of Druids. In the 18th century Lefortovo was the residence of Russian Emperors and Empresses. Later Lefortovo became the base of some elite troops of the Russian army and a military school; military hospital was also built in this district. To get to the estate, take the metro to the station Baumanskaya, then take tram 37, 50 to the stop "Lefortovsky Most". Exhibitions: Apr-Sep: Tue–Fri, Sun: 10:00 - 08:00, Sat: 11:00 - 19:00; Oct-Mar: Tue–Sun: 10:00 - 18:00. Monday – day off. This lovely park and palace are mysteriously little-known by even native-born Muscovites. In the 17th century the lands had been a hunting park owned by the infamous Godunov family. By the end of the 18th century ownership had passed through the Razumovskys to the Durasovs, who built the present palace in the first decade of the 19th century. You can take a picnic and walk about the banks of the extensive Lublino Lake which forms the centre of the semi-landscaped park. Although Lublino's territory is adjacent to Kuzminki, it's a different estate with a different history, and is most easily accessed from a different metro station: Volzhkskaya. There is an extensive series of light classical concerts on weekend afternoons in summer, and even (free) outdoor performances of complete operas. To get to the estate, take the metro to the station Volzhskaya, once out of the metro, take a 5 minute walk to reach the estate. Ostankino was mentioned for the first time in the 16th century, but the oldest preserved building, the Church of Trinity, is dated 17th century. This beautiful palace belonged to Count Sheremetyev and is located on the shore of a lake right near the Botanical Garden and the VVTs Exhibition center. In the estate one of the first theatres in Russia was organised; all the actors here were serfs. This theatre still has one of the best acoustics in Moscow; moreover, it is the only preserved theatre of the 18th century. A considerable part of the Ostankinsky Park is occupied by the main Botanic Garden of the Russian Academy of Sciences with more than 2000 kinds of roses, 400 kinds of lilac, plenty of exotic plants, a 300-year-old linden alley and three ponds. The palace is not always open to visitors and is usually closed in winter months. Concerts in summer months. To get to the estate, take the metro to the station VDNKh, then take tram 17, 11 to the stop "Ostankino" or trolleybus 37 to the stop "Ulitsa Akademika Koroleva". 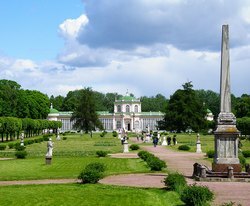 The name of this estate and park comes from the Russian word "tsar" and is home to the romantic ruins of the unfinished palace that Ekaterina II (Catherine the Great) ordered in 1775. The architect fell out of grace with Ekaterina and the incomplete project slowly fell apart. Its trees overlook the waters of the Upper Tsaritsyno pond, which together with the Shipilovsky and Borisovsky ponds form the largest cascade of ponds in Moscow. Tsaritsyno is the largest museum-reserve and historical and cultural monument of the federal level in Moscow, occupying over 700 hectares. A tremendously rich complex of architectural objects is gathered here - the historic village sites, plowed fields, barrows dated from the VI thousand years B.C. to the beginning of the XII century. To get to the estate, take the metro to the station Tsarityno, once out of the metro take a 5 minute walk to reach the estate. 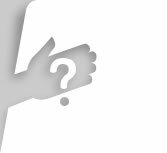 Museum: Tue–Fri: 09:30-18:00, Sat: 09:30-20:00, Sun: 09:30-19:00. Mon - day off. The entrance from 10:00.